National Park De Hoge Veluwe is located in the Netherlands. A beautiful environment that can also be explored by horse. This is not only a special experience but also the ideal way to explore the Park. Enjoy beautiful views over vast sand plains, moors and forests. The National Park offers an equestrian card with 13 nodes, available at the entrance. This way you can compile your own route from the bridle paths that have been created by the National Park. In addition to an equestrian card, De Hoge Veluwe National Park offers various other facilities for riders and horses. This way you benefit from various parking places and places to moor. To really explore the area, an overnight stay in the region is recommended. De Cantharel is the horse hotel in Apeldoorn, and offers various possibilities for you and your horse. Horse hotel Van der Valk Apeldoorn in the Netherlands has all the luxury hotel facilities for its guests and all facilities for a wonderful stay for their horses. For example, horses enjoy a royal residence in one of the 12 first-class horse stalls. The boxes are equipped with running water, basic sports chunks from Havens and there are lockable saddle rooms available. Guests have a wide choice of luxurious rooms and suites and enjoy a power breakfast in the morning with the extensive hot and cold breakfast buffet. So you can spend a full day in the National Park! Do you want to stay for several days? In addition to De Hoge Veluwe National Park, the Veluwe itself offers beautiful areas with miles of riding trails. 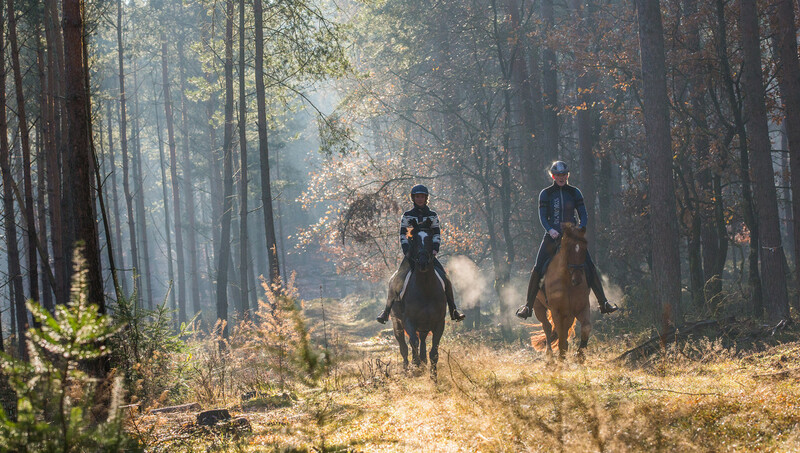 And thanks to the Veluwe on horseback packages, you benefit from a carefree 2-, 3- or 4-day stay. The package arranges everything down to the last detail – from breakfast to dinner, GPS rider and men routes and free use of wellness and fitness facilities. Is dinner time? Even then you’re fine, the Chanterelle offers the tastiest buffet restaurant in Apeldoorn!